Bolinas Calif. July 22, 2017. Decades passed, yet she persisted. 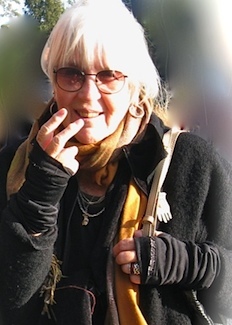 At least once during every conversation I had with her, Joanne Kyger would prod me to put together another Black Bart Poetry Society convention somewhere in Bolinas. She wanted to have one in Bolinas: a really good idea, in theory. Someday the time would come. That time came on July 22, 2017 at the Commonweal Retreat Center in Bolinas. Sadly, Joanne would not have the opportunity to experience it, nor would the hundreds of participants, or the organizers, have a clue that they were a party to it. 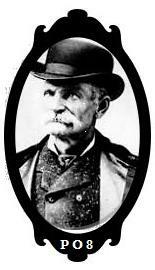 Billed as “a celebration” of Kyger’s “life and work,” this second Black Bart Poetry Society convention had little in common with the first, held 35 years before in San Francisco. This time the site was rural, with an infrastructure marginally equipped to handle the throng of fellow poets, neighbors, former newspaper colleagues and associates of Kyger’s, and possibly some curiosity seekers clued by an announcement on the Internet. 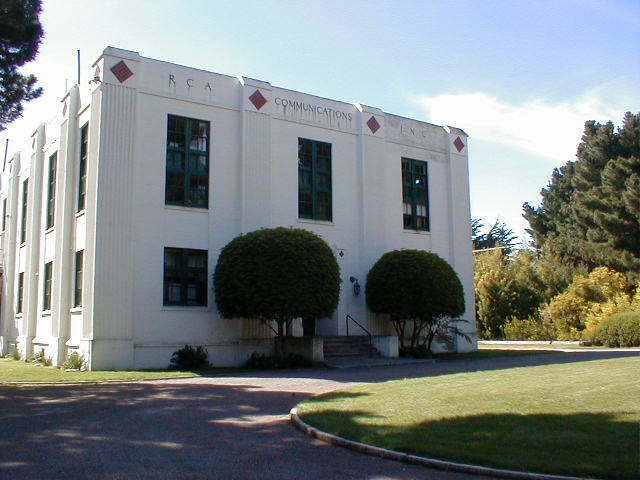 A convoy of mostly fuel-efficient, hybrid or all-electric cars heading coastward on the Mesa Road out of Bolinas converged on Commonweal Retreat Center where the now defunct RCA Corp. once delivered radio broadcasts across the Pacific. After staking out parking spots along the grassy, elevated edges of the long, level roadway leading to the venue, celebrants and unknowing conventioneers trod the gravel surface under extraordinary sunshine reminiscent of the recurring scene in Buñuel’s Discreet Charm Of The Bourgeoisies. Some silently grieved, others panted in exertion, still others engaged in conversation while others secretly listened, hearing tales of past encounters with the singular figure to whom they had all gathered to pay last respects. One octogenarian couple debated details of a particular gathering long ago at what sounded like the Russian Hill home of Margot Patterson Doss, where Kyger and her colleagues would often congregate during the waning years of Beat-era San Francisco. Another group was overheard recalling the wry sarcasm of Kyger’s remarks during a more recent colloquy of local poets held somewhere in the more densely populated tracts of Marin County, a dreadful but obligatory gig, no doubt, especially from a Black Bart Poetry Society perspective. Everybody, it seemed, had a story to tell about Joanne Kyger. The multitude funneled through the narrow entrance to the central structure of the compound, the only venue in all of Bolinas that could conceivably accommodate a gathering of this size, up a flight of stairs, across a broad exterior landing to another flight of wooden stairs into the main meeting room. The landing provided a perfect platform for earlier arrivals, such as author Jim Nisbet, to hold forth and be seen by everyone in attendance. It was that kind of a gathering, after all. Be there or be L7, for sure. Donald Guravich, Joanne’s husband and companion of many years, greeted friends, acquaintances, and literary celebrities with somber affection and in return received heartfelt and sometimes tearful condolences. The celebration of Joanne Kyger’s life and genius joined by the many who loved and cherished her was yet another step toward closure at the passing of his inamorata a mere three month earlier. Many of the expected guests and attendees arriving from the greater Bay Area found themselves significantly delayed due to the near Biblical traffic snarl clogging the Richmond-San Rafael Bridge and the Shoreline Highway blocked by a severe landslide caused by the winter’s historic deluges. (My trip from Oakland, 29 Google miles to the venue, took two hours and 40 minutes, longer than it takes for a typical trip to society headquarters on the Russian River.) Consequently the memorial venue was standing room only when they arrived and were relegated to the fringes of the convocation. The Commonweal is a project of Michael Lerner (not to be confused with Rabbi Michael Lerner), a prominent former Ivy League professor of psychology and political science and MacArthur Foundation fellow, who acted as Master of Ceremonies. Lerner exemplifies the range of Kyger’s circle of acquaintances, one of the many, many prominent figures Joanne had befriended during her long tenure as flag bearer of the Bohemian intelligentsia in the San Francisco Bay Area, of which she was a rare and singular native. After his welcoming comments, the celebration of Joanne Kyger’s life began. Video had also been integral to the success of the programs at the first Black Bart Poetry Society convention in 1983 at Dirk Dirksen’s North Beach club, On Broadway, with Joanne Kyger on stage in person, her reading captured on video. For the second convention, beyond any spiritual presence, she could only be experienced in videos. Bolinas neighbor Diana Middleton-McQuaid, best known for Invisible Future Chickens published by Smithereens Press in 1982, presented Kyger’s autobiographical work, “Communication is Essential,” in which stories of the heavily mythologized Sunday-afternoon poetry circle that surrounded, at the tail end of the Beat period, Jack Spicer, Robert Duncan and Robin Blaser were told. During one of those sessions, Kyger reports poet David Meltzer stood reading to the group from a long length of teletype paper that he had torn off a roll. This was at the acme of the fad of writing on paper on continuous rolls as Jack Kerouac had done for his novel The Subterraneans, set in the North Beach hip scene of the late fifties. While Meltzer delivered the text with all his characteristic flourish, Spicer and Duncan crawled in unnoticed to set fire to the trailing end of his manuscript with Zippo lighters. As always, Waldman would be a tough act to follow so organizers scheduled another Anne for the segue. However just then poet Michael McClure and company made their way through the SRO crowd prompting a significant disruption at the far end of the auditorium to an area already occupied by some VIPs, including the cofounders of the original Black Bart Poetry Society who resisted the temptation to wave in parade fashion at all the people casting their gaze on the spectacle of an aging late-comer finding a seat in a crowded room. 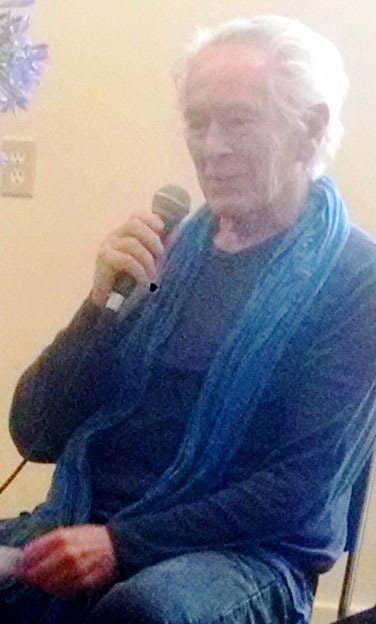 “I have a funny story about Michael McClure,” I overheard being muttered from a seat behind me. When Anne Valley-Fox took the microphone and attention was redirected to the podium, a glance around the room revealed a significant number of very puzzled looking faces, seeming to ask, “Anne who?,” as well as many other blank stares from those too proud to let on just how provincial the Bay Area poetry world can be. After all, Valley-Fox is one of New Mexico’s most important poets. Duh! Anne Valley-Fox made a brilliant choice of reading a cover letter written by Joanne to Donald Allen accompanying a submission of poems by Gary Snyder for the New American Poetry Anthology. In it, Kyger asks why Allen doesn’t like her poems, suggesting that perhaps he lacked the appropriate appreciation of what is really cutting-edge. Valley-Fox then read a letter from Kyger to poet Ron Loewinsohn, her colleague among the “Baby Beats,” dating from 1968 in which she told of her work as secretary to Dr. “Hip” (“Dr Hip Pocrates” was the pen name of Dr. Eugene Schoenfeld for his popular counterculture health column in the Berkeley Barb and in syndication in the underground press), the first mention of Kyger’s seldom recognized work in the press. This followed by the words of poet Philip Whalen, writing to Kyger in Japan, reporting on her growing reputation in San Francisco. 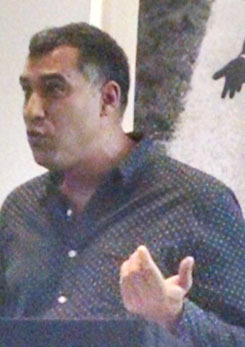 Valley-Fox was followed by poet and cofounder of One Hundred Thousand Poets for Change, Michael Rothenberg, who had traveled from Florida, making him the presenter who came the farthest, and who wept the day’s first visible tears during an extemporaneous memoir on his relationship with the deceased and the emotional value of their conversations. Rothenberg’s touching tribute was followed by the handsome but often sullen Duncan McNaughton, embodying the stubborn determination that he has used to fend off the grim reaper during some very challenging crises of health, to be here to honor a very dear friend and ally. 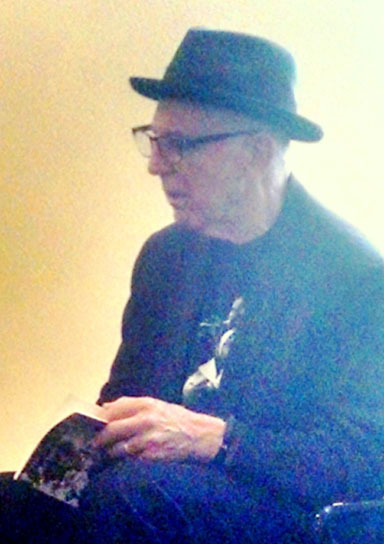 McNaughton recalled how Kyger provided the constant reminder that “poetry is a need,” and how without it, “you can’t get off the dime.” “I am unaware of a more complete poet, and I’m unaware of a more complete poetry,” than Kyger’s, he said with great authority, possessing as great a knowledge of the entire body of poetic expression as any living poet. He would certainly find no one at this convention who would challenge his assertion. And besides all that, “we had so much fun.” And continued to have fun in his reading of Joanne’s poem entitled simply, “Philip’s Hat,” which depicts a shapeless yellow bucket hat adorned with a green band with representations of tropical plants that poet Philip Whalen had purchased at Walgreen’s and loved to wear on sunny days much to the chagrin of his more fashion conscious friends. Next at the podium West Marin County’s best-known Muslim, Michael Wolfe, manifesting his blue-blood education in the classics, linked Joanne Kyger to the poets of antiquity: how she “was living on the Western edge of an empire she challenged till the end, the way that certain ancient Greek poets had done,” all the while as a great neighbor whose “rules of the game included magnanimity,” a characteristic that seemed to spread throughout the town of Bolinas while Kyger was present there. The most recent editor of Kyger’s new collection of interviews, journals and ephemera, There You Are, from Wave Books and former star student at the Jack Kerouac School for Disembodied Poetics, Cedar Sigo, took his turn at the microphone and read a poem, “Nov. 19, 2016” that he’d written on Kyger’s last birthday, preceding it with her poem, “Nov. 19, 1982,” written on her 48th. This form of tribute, writing works in the manner of another poet seems to be undergoing a significant revival following a lengthy period beginning in the late 20th century when the adjective “derivative” was used to deride and dismiss an artistic endeavor of this kind. Sigo displayed exquisitely how profoundly original work can result from this method, just as it had with the great poets of the Far Eastern traditions who would use such manneristic writing to help perfect their technique. And imitation is, after all, the sincerest form of flattery—and much easier said than done in the case of the poetry of Joanne Kyger. Puzzlement accompanied expressions and some murmuring from the audience when Simone Fattal followed Sigo to the microphone—the baffled looks from the more bookish types of a certain generation, i. e., mine, as a case in point. I have since learned of her international reputation as a visual artist and the significant role she played as publisher of Sausalito’s Post-Apollo Press. The shame of my ignorance was quickly replaced by a discriminating smugness when I noticed considerable perplexity with Bill Porter taking the podium. Because I have knowledgeable friends I know of Bill Porter as Red Pine, esteemed translator of Classical Chinese poetry. Red Pine, an English translation of the Mandarin “chi song” was the name used for a Taoist “immortal” associated with rain. That sobriquet certainly applies to Porter who has spent most of his life in rain-soaked climates, that of Taiwan where he lived for many years, and currently at the northernmost extreme of the Olympic Peninsula in Washington. Porter’s fluency in Mandarin was demonstrated by his sonorous readings of poems by Li Qingzhao, the great woman poet of the Song Dynasty and by Xin Qiji, poet of the subsequent generation in their original language followed by his own original translations. He ended with Tang-dynasty master Hanshan’s thousand-year old poem, no. 16, that gives directions to the pathway through the clouds. Poltroon Press publisher and printer Alastair Johnston, along with his comrade, Grace Gomez, had in fact arrived late, bearing a stack of broadsides he’d printed up as a keepsake for the occasion. They, too, had been caught in the near Biblical gridlock on the Richmond-San Rafael Bridge. 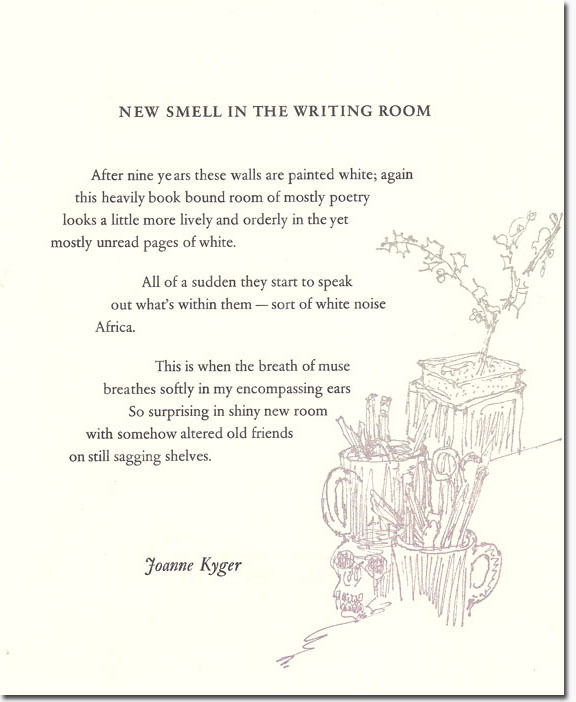 The broadside featured a poem entitled “New Smell in the Writing Room,” with illustrations by the late Arthur Okamura, long-time Bolinas neighbor of Kyger’s and faculty member at the California College of Arts & Crafts in Oakland, who began his tenure there while San Francisco was preparing to become the epicenter of hippiedom. At the conclusion of Jim Zeno’s video montage the crowd slowly made its way out of the building pausing to sign the guest book and receive one of Johnston’s broadsides. Many made their way to the Kyger-Guravich homestead down Mesa Road closer to town. Elm Road, the site of the post-celebration festivities, resembled on a much smaller scale the road to Max Yasgur’s Farm on August 15, 1969. Red Pine had already found the wine, a line forming behind him at the service table. Clusters of assorted acquaintances stepped up for cups or simply greeting someone or other they had not seen around lately. Most of the elite intelligentsia of West Marin County was on hand, as was most of the urban Bay Area’s Bohemian core. Attendance vastly outnumbered the most optimistic expectations for a Black Bart Poetry Society Convention. Leading academics (George Lakoff), MacArthur fellows (Michael Lerner), artists, Academy Award winners (Frances McDormand), world-class winemakers (Bill Hawley of Random Ridge), many leading American poets besides those who had been part of the program, (Alan Bernheimer, et al.) 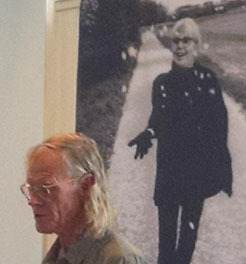 and even an important palindromist (Jennifer Curtis) paid tribute to Joanne Kyger as unwitting conventioneers. Bernheimer‘s presence meant that every surviving performer at the first Black Bart Poetry Society Convention had shown up for the second. Although, missing was George Mattingly’s laugh—unmistakable and prominent in the soundtrack for the first convention. A growing clutch of Generation X (and younger) literati, each known personally to Cedar Sigo, gathered around Kyger’s writing cabin, some of them electing to make careful examinations of each of its artifacts. Throughout the afternoon and into the early evening, attendees repeatedly approached Alastair Johnston to request a broadside for one or the other familiar person unable to attend, a list that grew longer and longer with each degree of decline in the angle of the sun. Poet Bob Grenier, for example, who had not made it out for the event, needed a copy. But when the fourth and fifth person asked for a copy for Garrett Caples, the jig was up, the great broadside swipe caper exposed for what it was, not that it was very well concealed in the first place. So many other absent people besides Caples, such names as Ron Padgett, David Highsmith, Keith Abbott, Andrei Codrescu, Alli Warren, Alice Notley, Maureen Owen, even G. P. Skratz or Clive Matson could have been used to extract an extra broadside. Instead, the conspirators all dropped Caples’ name. So much for their lives of crime. Subsequent circumstances have doubled those odds. Only three short weeks after the Second Black Poetry Society Convention Celebrating the Life and Work of Joanne Kyger had concluded with the entire run of Johnston’s broadside having been distributed, Moe’s Books in Berkeley hosted a book launch for Joanne Kyger’s posthumous There You Are: Interviews, Journals and Ephemera, edited byCedar Sigo, and newly published by Wave Books. Again, a keepsake in the form of a broadside was printed for the occasion, this time by Patrick Reagh at his shop just outside of Sebastopol, with the very same “New Smell in the Writing Room” as the text. Now the poem has two opportunities for ubiquity on the walls of kitchens, hallways, offices and living rooms, to capture the substance-induced stares of a whole new generation. Steven Lavoie was co-editor of the scurrilous Life Of Crime, Newsletter of The Black Bart Poetry Society, and the equally notorious schismatic Life Of Crime-In-Exile in the mid 1980’s. He is currently employed by the City of Oakland, as branch manager of the Temescal Branch Library. As society columnist for Parole he has previously reported on the Frank O’Hara Marathon reading of 2015 and on the Actualist Movement’s dispersal to the San Francisco Bay area. This entry was posted in Poetry, Poetry Society and tagged Alan Bernheimer, Alastair Johnston, Alice Notley, Alli Warren, Andrei Codrescu, Anne Valley-Fox, Anne Waldman, Arthur Okamura, Bill Hawley, Bill Porter, Black Bart, Bob Grenier, Bolinas, Buddhism, California, California Poetry, Cedar Sigo, Clifford Still, Clive Matson, David Highsmith, David Meltzer, Diana Middleton-McQuaid, Donald Allen, Donald Guravich, Duncan McNaughton, Edgar Allan Poe, Frances McDermott, G.P. Skratz, Garrett Caples, George Lakoff, George Mattingly, Gloria Frym, Grace Gomez, Jack Spicer, Jennifer Curtis, Jess, Jim Nesbit, Jim Zeno, Joanne Kyger, Joe Dunn, Keith Kumasen Abbott, Lewis MacAdams, Life Of Crime News Letter, Luis Buñuel, Margot Patterson Doss, Mark Rothko, Maureen Owen, Michael Lerner, Michael McClure, Michael Rothenberg, Michael Wolfe, Modern Poetry, Nemi Frost, outlaw poets, Patrick Reagh, Philip Whalen, Poetry Blogs, Poetry Lectures, Poetry Lessons, Poetry Society, Poetry Talks, Poets, Poltroon Press, Red Pine, Richard Brautigan, Robert Duncan, Robert Zagone, Robin Blaser, Ron Loewinsohn, Ron Padgett, Stephen Ratcliffe, Steven Lavoie, The Commonweal, The New Black Bart Poetry Society. Bookmark the permalink. 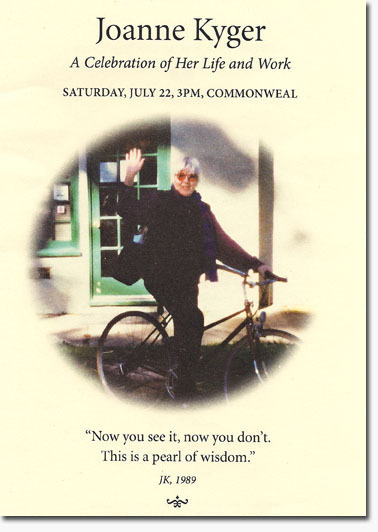 We are deeply grateful for the beautiful review of Joanne Kyger’s memorial celebration at Commonweal. We were also charmed that you confused us with each other. Steve Heilig, was Master of Ceremonies. Michael Lerner was up on Whidbey Island and could not attend. be confused with the other. Thanks again for the thoughtful review. It was an honor to host Joanne’s memorial. Either Mr. Lavoie has a photographic memory or spent all his time during that much mourned-for era taking notes. Or, stealing notebooks and diaries from people like us?. Good job on the reflected light from a world that no longer exists, except on pages like this. I did in fact spend all my time taking notes. It was a requirement of my parole. Was a lovely afternoon, thanks for this remembrance of the remembrance. I’m so glad I traveled back to Bolinas, where I was Joanne’s neighbor for seven years.